For tech savvy consumers, buying a wireless router or adapter is a fairly simple affair. For the majority of shoppers, however, it can be very confusing. Let’s be honest, it is impossible to know that 802.11ac is better than, say, 802.11n without first researching it. I mean, hell, how is the average consumer supposed to know what the letter designation following the 802.11 really means? It is simply nerdy jargon. Apparently the Wi-Fi Alliance wants to make it easier to decipher. Starting with the 802.11ax, numbers will be used instead. For instance, ax will be Wi-Fi 6, while n and ac will retroactively be called Wi-Fi 4 and Wi-Fi 5 respectively. 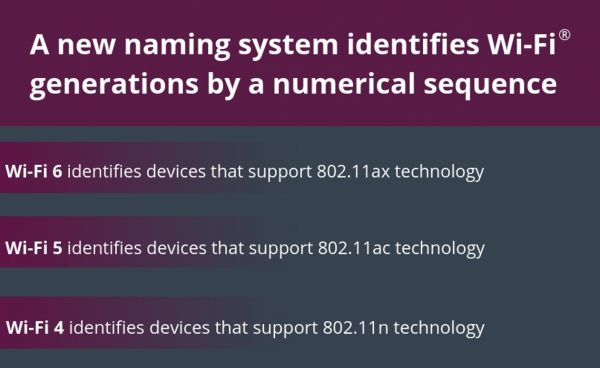 "The new naming system identifies Wi-Fi generations by a numerical sequence which correspond to major advancements in Wi-Fi. The generation names can be used by product vendors to identify the latest Wi-Fi technology a device supports, by OS vendors to identify the generation of Wi-Fi connection between a device and network, and by service providers to identify the capabilities of a Wi-Fi network to their customers. The generational terminology may also be used to designate previous Wi-Fi generations, such as 802.11n or 802.11ac,"says The Wi-Fi Alliance. 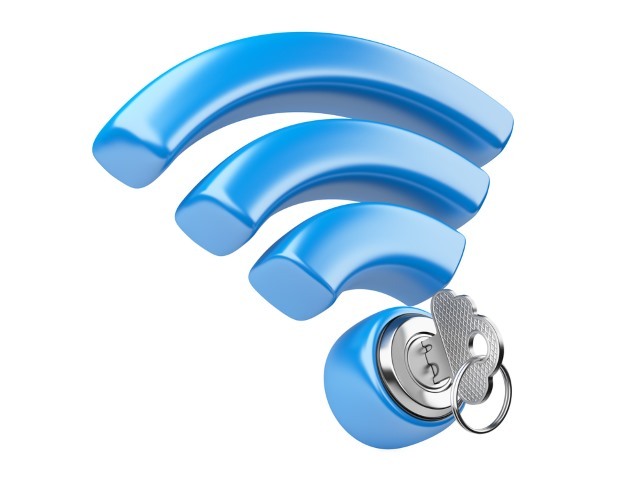 The alliance further says, "In addition to describing the capabilities of the device, device manufacturers or OS vendors can incorporate the generational terminology in User Interface (UI) visuals to indicate the current type of Wi-Fi connection. The UI visual will adjust as a device moves between Wi-Fi networks so users have real-time awareness of their device connection. Beginning with Wi-Fi 6, Wi-Fi Alliance certification programs based on major IEEE 802.11 releases will use a generational Wi-Fi name; Wi-Fi CERTIFIED 6 certification is coming in 2019." As you can see above, operating system maintainers will be able to leverage standardized icons to show the user what type of access point they are connected to. This is quite brilliant, and I look forward to having it in Windows 10, Ubuntu, Android, iOS, macOS, and more. Overall, this is a huge win for consumers. Not only does it help them to make a more informed purchase when shopping for new network hardware, but it will help them to connect to the fastest network in their vicinity. Knowledge is never a bad thing! The only question, however, is why the hell did it take this long for it to happen? Oh well. Are you excited about this new naming scheme? Tell me in the comments below.